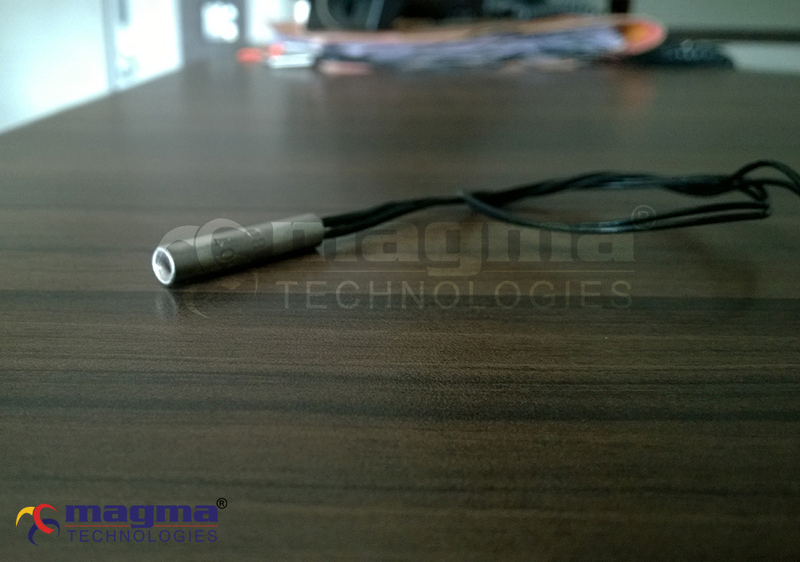 MAGMA cartridge heaters are suitable, appropriate devices for applying concentrated heat to solid metal components. Cartridge heater is somewhat similar to tubular heaters structurally but with higher watt densities, usually custom manufactured to size, sheath, leads, terminals, wattage and voltage as per application or requirement. Cartridge heaters are used in restricted working areas where localized heating is required for close thermal control. 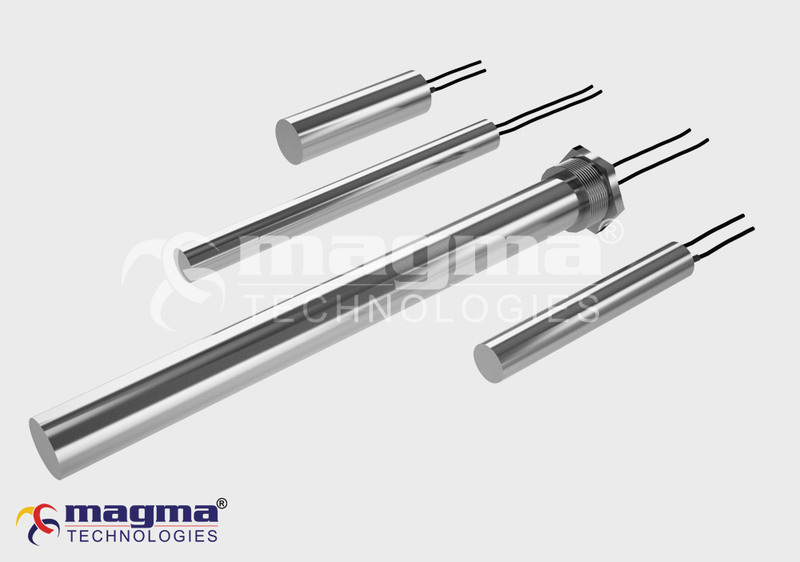 MAGMA manufactures wide range of cartridge heaters for different numerous applications like heating liquids (Water, Oil and Glues), Gases such as Air and Solids such as Metal Dies. 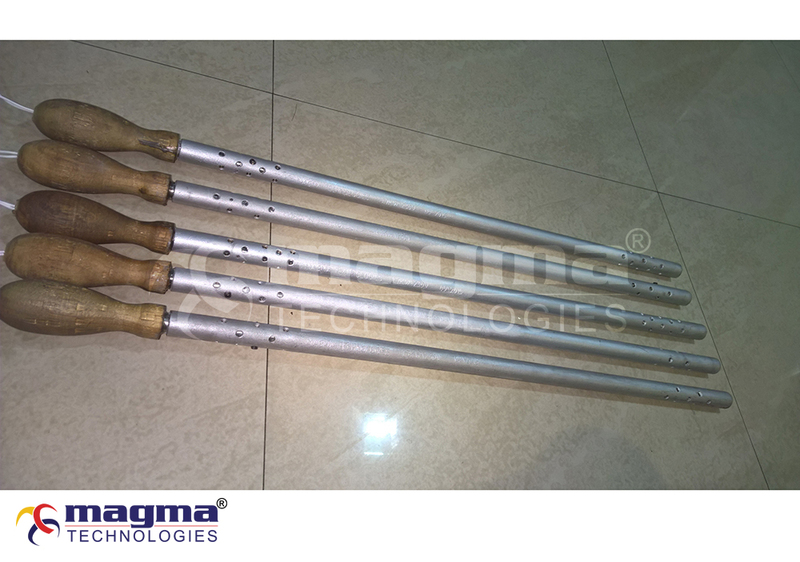 Swaged or High Watt Density Cartridge Heaters. Standard or Low Watt Density Cartridge Heaters. Swaged or High Watt Density Cartridge Heaters composed of resistance wire (NiCr) spirally wound on MgO core as per watt density decided. It is inserted in metallic tube selected as per requirement and space filled with high purity MgO powder. Then it is swaged to compact the loosely filled powder inside for achieving high dielectric strength up to the desired size, diameter and wattage is achieved. The heat generated by resistance wire is quickly dissipated or transferred to the outer sheath. It is machined to precise tolerances and straightness. Swaged or High Watt Density Cartridge Heaters are fitted into accurately reamed, parallel sided holes for useful life and fantastic performance. It can operate at higher temperature and vibration applications. 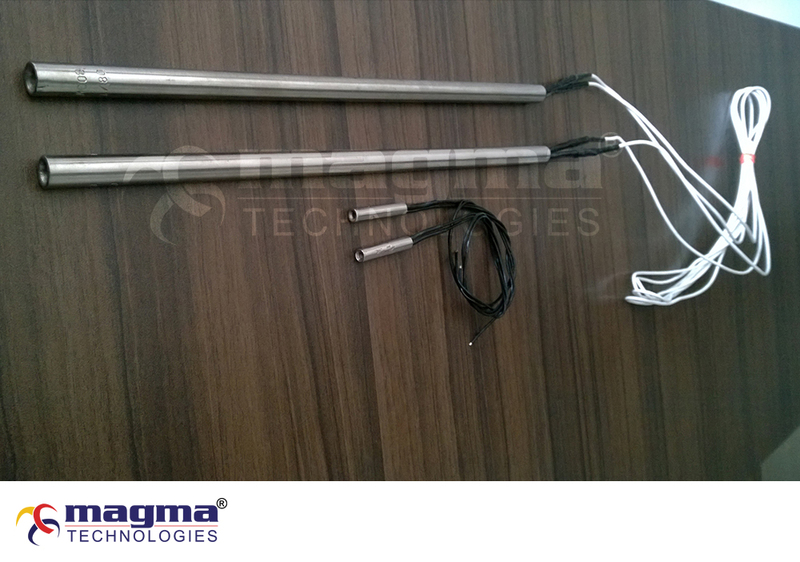 Low Watt Density Cartridge Heaters comprises of helical coil (NiCr resistance wire) passed from refractory core and inserted in metallic tube which is pre- decided by size, diameter and sheath. The remaining space in the tube is MgO powder filled but not compacted by machine. The end cap is then inserted on the bottom of the heater and insulated leads are installed. 1. FITTMENT: The insertion holes of the Metal dies or moulds should not exceed more than 0.002 than the diameter of the heater. As a result of which the hole of the metal die or mould and the outer sheath of the heater will be in close contact with each other and maximum heat from the resistance wire is transferred to the metal. Otherwise temperature inside the heater will continuously rise till the heater fails. 2. Calculation of wattage should be proper: Regular ON/OFF of the heater will also shorten the life considerably. We suggest that Input voltage regulator device should be installed for low to high temperature fluctuation is required. 3. Temperature sensing device should be placed properly: Thermostat should not be placed more than 1/2” away from the heater wherever possible. More the distance less the life of the heater. 1. During performance of the device failure may result if tube or ultrasonically wire is not cleaned properly before taking in production or foreign particles or impurities are present in powder. 2. Moisture: Heater may fail if it absorbs moisture from air which causes failure of IR due to hygroscopic nature of MgO. 3. Voltage given is not proper: If the wattage is designed as per input voltage 120v, and 240v then the wattage will be 4 times than that of 120v. So the heater will be fused immediately.